so said ellie: The easter bunny hates you. The easter bunny hates you. Competition is tight this year. Bunny vs bilby: I can't decide which I prefer. 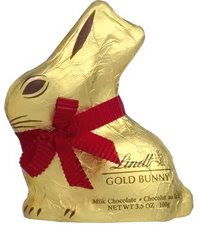 Someone gave me a Lindt bunny a couple of years ago, and so the bunny is tinged a little with bad vibes; that's a pity because he truly was delish. 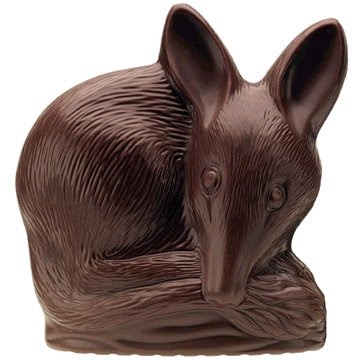 But I love the bilby because he looks a little bit evil. That appeals to me. Although, he seems to be a bit dopey looking. That appeals to me also. My mum sent me a bilby when I was in Sweden, do you remember? Maaaaan, he was tasty!